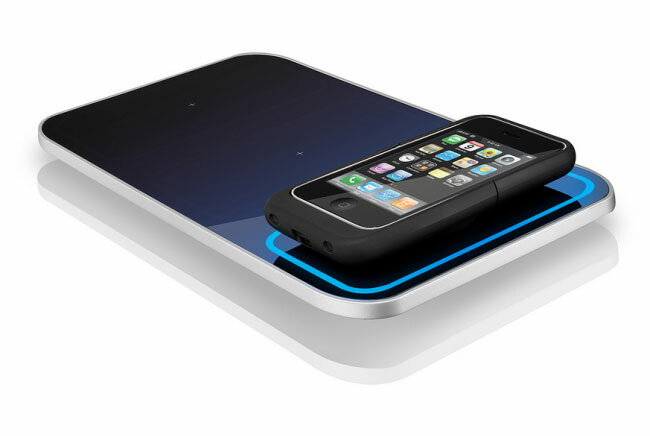 Apple Developing New Charging Method For 2012 iPhone? Following on from yesterdays news about the proposed new Apple iPhone that will be arriving in 2012. A new report published by the WSJ has revealed that Apple is currently looking at new ways to charge its six generation iPhone without the need for cables. Its still unclear as to what method of iPhone charging Apple is working on, but induction charging might be a preferred way, allowing you to place your iPhone on a charging pad to top up your battery. This new method of charging and Apple’s new cloud storage might see the end of sync cables and docks. Investors expect a bigger boost to Apple’s phone business next year. People briefed on Apple’s plans said the company is planning a major iPhone revamp then, with one person saying the company has been experimenting with features such as a new way of charging the phone. As more information becomes available about the possible new way to charge your iPhones in 2012 we will keep you updated as always.